So I have some exciting news for all those fans of the Tomart Guides who love and miss them. Drumroll, please, because I’m pleased to announce that the Hot Wheels Newsletter is going to be publishing a NEW price guide that covers the period since the last Tomart guide. Over the past decade, I’ve continued to work hard logging details of all the latest Hot Wheels releases; model details, photos, colors, variations and, most importantly, pricing information! I’ve been looking for a way to be able to share this with you all in book form for some time, and now, thanks to hobbyDB who’ve formed a joint venture with me to share the upfront publishing costs, that’s going to become a reality. 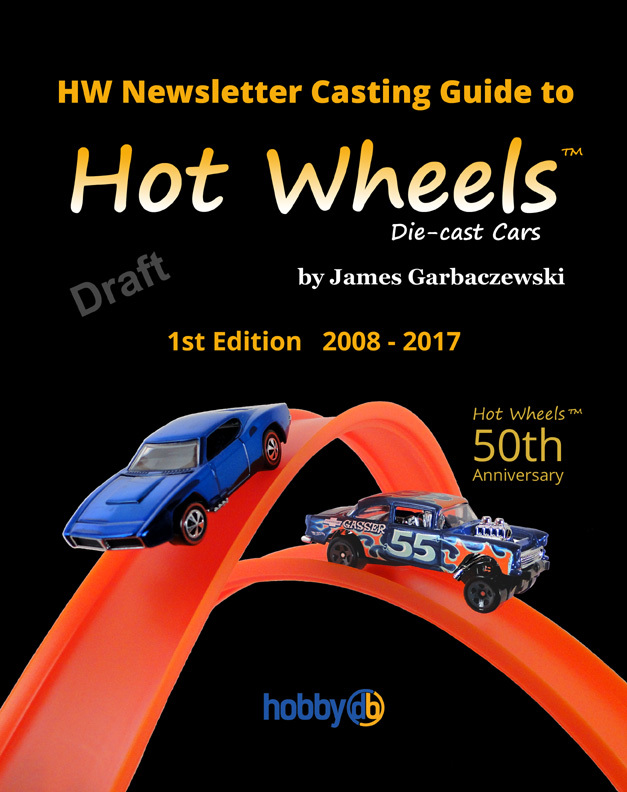 The new HW Newsletter Casting Guide to Hot Wheels will have all the same great images and information you’ve come to expect, and will cover ALL known models released between 2008 and 2017. It’s set to ship in January for $34.99 and is now available for pre-order for $30.99, exclusively in the new Hot Wheels Newsletter marketplace, so order yours today! We may only print 2,000 of these, so make sure to get yours before it’s too late. P.S. You can also now shop for all of your favorite Hot Wheels in the new Hot Wheels Newsletter marketplace powered by hobbyDB.